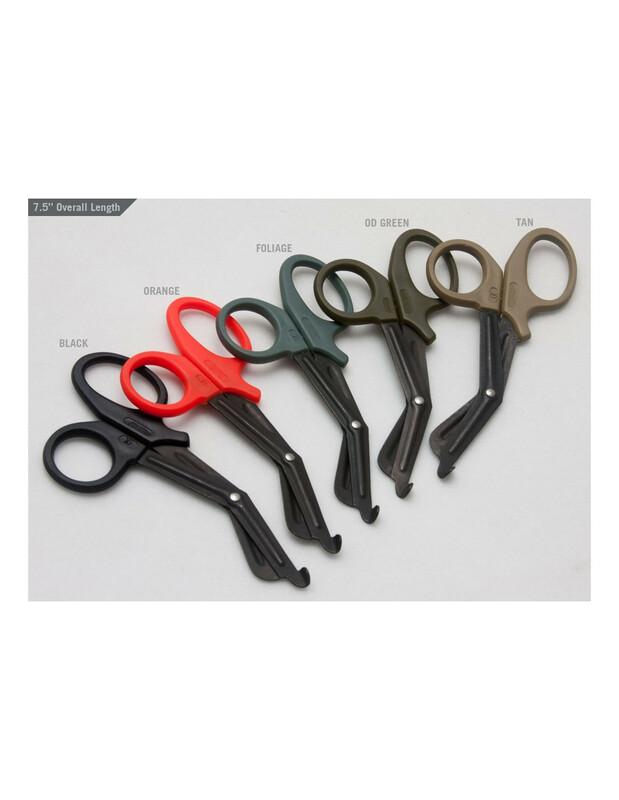 Handy EMT / Medical Shears good for cutting about anything, but primarily used for removal of clothing on wounded patients to allow access to injuries. 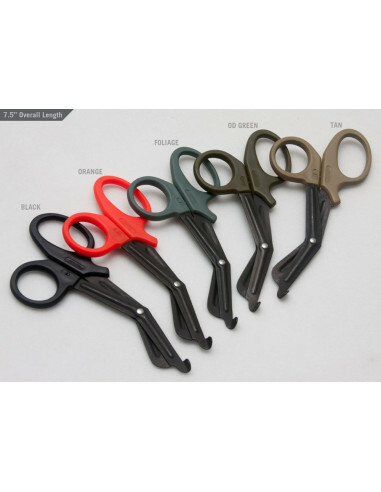 Overall solid in quality, they can do all the classics like cut pennies, however are affordable enough to be disposable just in case you use them on some messy situations. About 7.5" in total length when measured from furthest ends which is the most common tac shear size.